One of the most popular charity livestreaming events is ‘Games Done Quick,’ a semiannual event that acts as a showcase of speedrunning prowess. However, one new event based in Australia wants to raise money by going in the opposite direction, taking it easy, and focusing on mental health. Streamers, friends and content creators from all over the world will come together to show how games can be used for positive wellbeing. All participants are encouraged to integrate wellbeing and peaceful play into their streams. Find new ways to make a classic game meditative. Explore the most relaxing games out there. Create worlds at your own pace. And all for a wonderful cause: the mental health of gamers. The proceeds earned from this event will go to the Australian charity CheckPoint. Founded by Dr. Jennifer Hazel, CheckPoint is a charity that connects mental health resources with video games and technology. They provide a variety of resources, a pro-mental health gaming community, and a 16-part webseries that tackles mental health issues using the power of video games. The event will allow people to sign up and stream for the event from the comfort of their living room, or get together with friends. Among the streamers already on board, the roster includes Alanah Pearce, Baertaffy, Erika Ishii, and Zer0Doxy. There are no listed games yet, but the trailer and ideas for streamers implies that we might be seeing games such as Stardew Valley, Minecraft, Abzu, and Journey. 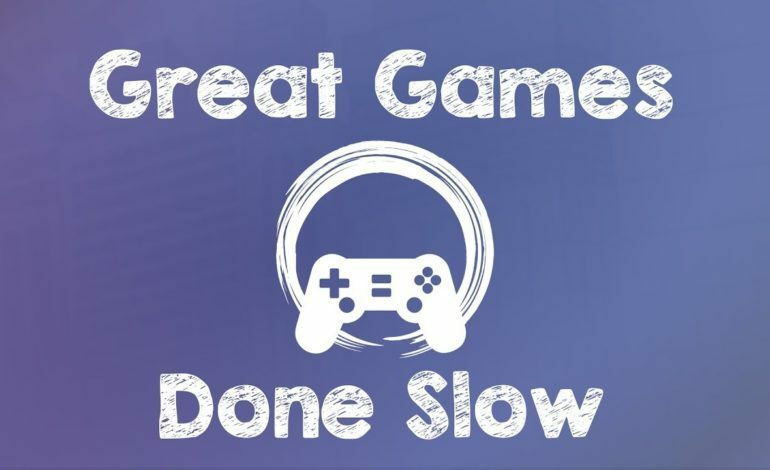 ‘Great Games Done Slow’ will take place September 15-21. You can learn more about the event here.